The use of IT in schools is becoming more and more important, both as a stand alone subject as well as a tool in general education. However, the school lacks the facilities to comply with the current standards. The existing suite is a small and narrow space and does not allow the teachers to stand facing the pupils. The room has only limited workstations and does not cater for a full class, leaving the pupils to share computers. The server is located inside the space which produces heat and noise which is a distraction during the teaching sessions. 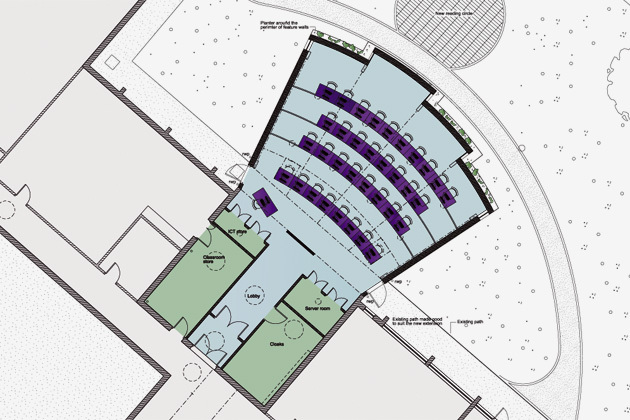 The scale of the extension has been developed through careful space planning, incorporating the government guidelines in the design of ICT suites and the schools specific requirements. 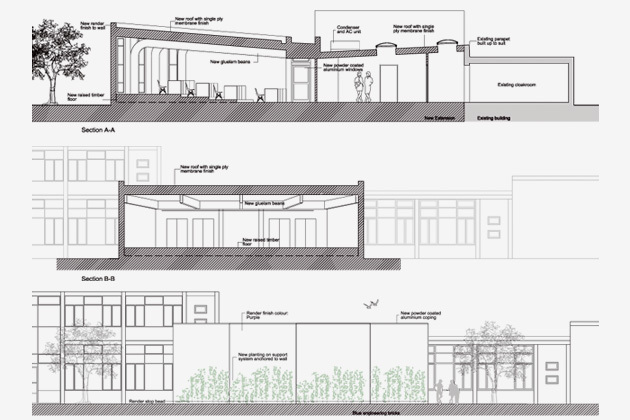 The proposal is an infill between two existing buildings with a corridor that connects the two. The building fans out to place the teacher and pupils as close together as possible.The extension has a modern appearance, reflecting a modern subject. 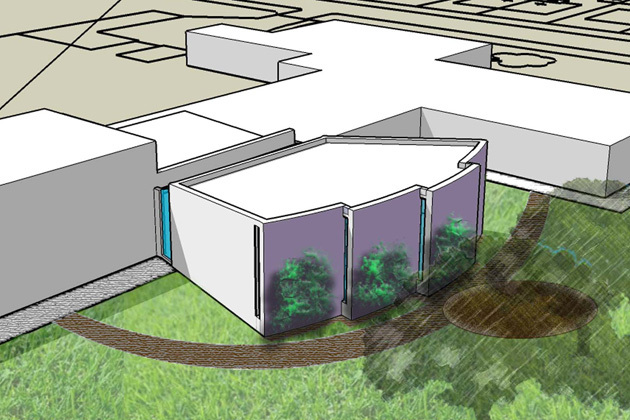 The extension will be naturally lit to minimise the use of lights during daylight hours. This will be partly through rooflights, and partly through sunpipes. 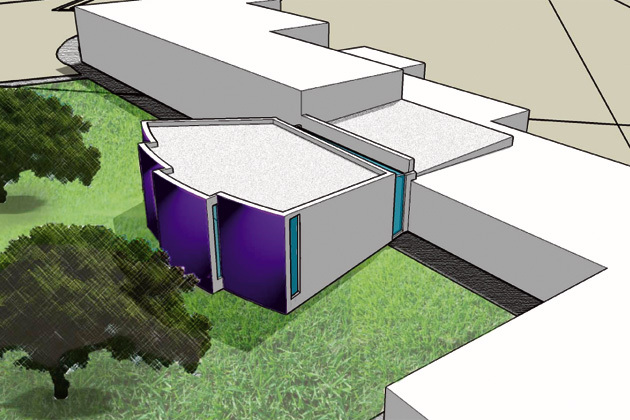 The external envelop will be designed to at least the standards set by Building Regulation requirements including the use of low E glass within windows.